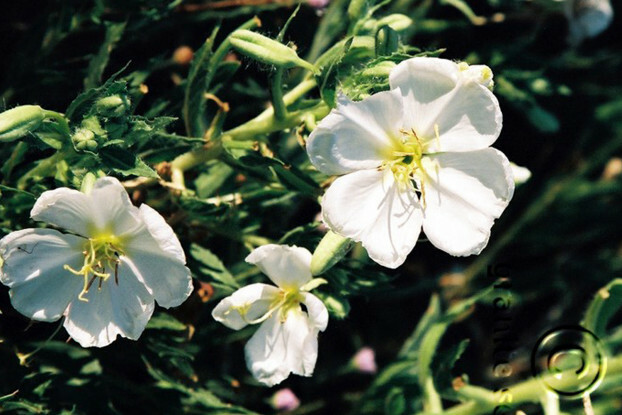 White Evening Primrose is a low growing, drought tolerant perennial that prefers full sunlight. Its showy white flowers bloom May to September and thrives in valleys, foothills, and dry, open areas with sandy or gravelly soil. It is commonly used for erosion control and beautification.